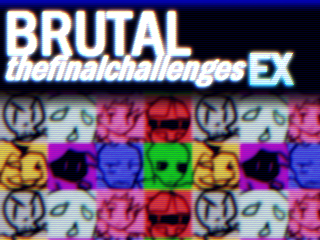 Brutal - The Final Challenges EX - Download DLC here! Don't want to download a big file? That's okay, we've got Brutal - The Final Challenges plusEX LITE, a 26mb version of the game, and it already comes with the DLC. Download the LITE version here! It was a normal, boring day for everyone, that is, until a pumpkin head stepped on a mummy's foot and opened the gates of Hell! Well, you sure don't hear that every day. What happens happens and unlucky for them, the usual buddies were thrown in the mix. 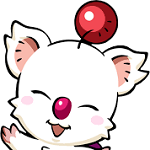 They will need you to help them beat 64 familiar challenges in order to get back home. Good luck! 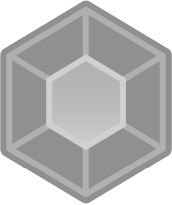 This is an arcade style game where you dodge enemies and obstacles and try to get to the goal. Final Challenges is a compilation of the best levels in the Brutal series (Brutal's Challenge DeluXe, Brutal - Halloween Challenges and Brutal - The New Challenges). This game is simple at first glance but with mechanics like quickdashing, parrying, level jumping, and pushblocking, you'll have fun trying to beat the levels as fast as you can. However, patience is still key for first-timers and experts alike. ever wanted the game but it was too chunky to download? well... chill out. we've got "Brutal - The Final Challenges PlusEX LITE". it's the original game plus the DLC contents but all compressed from 285 mb to 26 mb. expect midis and low-fi sfx! no gameplay differences at all. I'll give this a shot as soon as I can. Congratulations on finishing this series finale! Alright! :) Thank you for your support. Downloading the new build now! Yay, thank you so much! Have fun. There is DLC coming out with a lot of new levels. It also fixes some bugs.